This entry was posted by Anne Reith on August 7, 2018 . In the Pacific Time Zone, the New Moon will occur at 2:57 a.m. on Saturday, August 11. This New Moon finds the Moon and Sun in conjunction (0°) at 19° of Leo. To further clarify how this New Moon will impact you on a personal level, locate 19° of Leo in your birth/natal chart. The issues associated with that house are going to be most influenced by this New Moon’s presence. This Leo New Moon and partial Solar Eclipse will be the final eclipse in a series of three, with the first one being a partial solar eclipse in Cancer on Thursday, July 12, and the second was a full lunar eclipse in Aquarius on Friday, July 27. The latter eclipse happened to be the longest eclipse to occur in over 100 years, and many people reported feeling its effects! This third eclipse won’t be as powerful as the one two weeks ago, but it does mark a turning point in many ways. As I mentioned before in the Moon Update that discussed this summer eclipse season, I always like to think of a series of eclipses as a time when we are taken off line for a few hours, new software is installed, and then our system is rebooted. We are certainly getting an upgrade with these three! But if you haven’t noticed any differences, remember that the impact of eclipses sometimes isn’t immediately apparent. Although changes can occur right around the actual eclipse, it is common for the true effects to slowly unfold over the next six months (ending with the next eclipse season which will start in January 2019). Given the power of these three eclipses in a row, it’s very likely that most of us have or will be experiencing changes in our lives between now and beginning of next year. This final eclipse occurs at the time of the Leo New Moon. 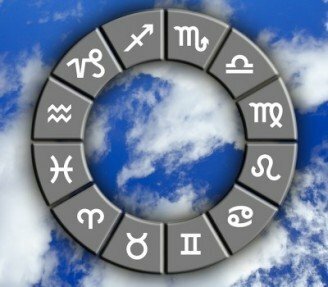 As with all astrological signs, our free will choices determine whether we will express the higher or lower qualities of the sign involved. At its best, Leo is self-confident, big hearted, loving, idealistic, loyal, and a good leader. At its worst, this sign can be prideful, arrogant, attention seeking, and overly dramatic. Leo is a fixed fire sign that is ruled by the Sun. The Sun provides a good analogy for the potential uses of its energy: It can shed wonderful light that supports growth, or it can burn. We need to use its energy wisely. The energy of Leo is amplified both by the partial Solar Eclipse and by the Sun and Moon’s conjunction (0°) with Mercury. Given Mercury is in retrograde in Leo, we may be reflecting on Leo-esque issues. For example, we may realize that we never felt we could truly express ourselves in certain situations or with certain people. Or perhaps our inner child never felt it received the recognition that it needed in order to feel secure, appreciated, and respected. Or we might have felt our creative self-expression was stifled in some way. Now is the time to recognize any unmet needs related to the sign of Leo and decide how to address them in healthy ways. This is also a time when we need to examine any attachment we have to external validation. We may need to stop looking to someone or something to say that we are “OK” and start giving ourselves the love and support that we need. Yes, it often feels good to be recognized. However, if we depend on it from external sources, then what happens to our self-esteem when it isn’t provided on a regular basis? Do we suddenly feel unworthy, incompetent, or disrespected? We need to start being able to source our own self-confidence and not depend on it from outside ourselves. A truly heart-centered, higher expression of the Leo energy is to give generously to others but not for accolades or recognition. Instead, we are meant to give for the sake of expressing our love unconditionally. However, this type of unconditional love is a gift that we need to give to ourselves first before we can truly give it to others. So many in the metaphysical field feel uncomfortable with respecting and loving themselves because they don’t want to appear to be selfish or egotistical. But being self-loving is different than being self-ish. It means that we love ourselves enough to protect and support ourselves. If we do this, then we have the ability to share with others the gifts that we came here to give, not for recognition but from our heart’s desire to give. During the Leo New Moon, the Sun and Moon are both in a stressful aspect called a quincunx or inconjunct (150°) to both Neptune and Pluto. Given Neptune is in a sextile (60°) to Pluto, this forms a configuration called a yod or “Finger of God” (isosceles triangle). Yods require adjustments in one or more areas of our lives . . . adjustments that feel like we are being asked to make impossible lose-lose choices. There are no easy answers with yods. This may leave us feeling a bit irritable and cranky. So what should we do? With a yod, we want to look at the planet(s) that are being pointed to (the far tip of the isosceles triangle which is called the “focal planet”) for where adjustments might be needed. In this case, that means that this would be a good time to do an internal evaluation of our self (Sun), our emotions (Moon), and our thoughts (Mercury). Our adjustments will require looking at compromises between these areas and our fears and spiritual faith (Neptune), as well as our use of power (Pluto). By making some difficult adjustments now, we are laying the groundwork for our short- and long-term success. This may require looking at our current relationships to see if one or more of them are interfering with our progress. Or it may be an “internal job,” meaning we are our own worst enemy because we are harboring unproductive thoughts and beliefs. The need for self-reflection is further emphasized by the Sun, the Moon, and Mercury squaring (90°) Jupiter. In fact, the Mercury-Jupiter square is exact within 0 degrees and 7 minutes. This makes it the most powerful aspect occurring at the time of this New Moon, other than the exact conjunction (0°) between the Sun and Moon. We need to work with the retrograde motion of Mercury and explore inwardly our values, beliefs, and true motivations (Jupiter) before beginning anything new. Other aspects that occur less than 24 hours after the New Moon/Eclipse encourage us to look closely at any self-defeating habits and to work toward supporting rather than criticizing ourselves as we move forward on our path. As with the previous two eclipses, healing is still being emphasized. This time, it is in the form of a t-square (right triangle) configuration in which there is an opposition (180°) between Venus and Chiron, with both of them squaring (90°) Saturn. Because Saturn is the planet being squared (i.e., the “focal planet”), it is what shows us a possible way out of any conflicts between the planets that are in opposition. For example, if we are feeling insecure (Chiron) about pursuing what we desire (Venus), it will likely help to focus on establishing a secure foundation (Saturn) before we move forward. We may also find that it’s important to examine our level of responsibility (Saturn) for healing (Chiron) within our relationships or finances (Venus). We may be taking on too much responsibility or we might be afraid to take a leadership role. The day after the New Moon/Eclipse (Sunday, August 12), retrograde Mars moves so far backwards that it leaves Aquarius and re-enters Capricorn. It will remain in the last two degrees of Capricorn for about month. Mars in Cap is a very different energy than Mars in Aquarius. The former looks backwards while the latter looks forward; therefore, we may feel like our efforts to take steps toward new goals are being thwarted. Also, rather than focusing on interdependence, Mars in Cap wants to independently take charge and be responsible without the support of others. However, given we still have quite a few planets in retrograde (i.e., Mars, Saturn, Uranus, Neptune, Pluto), the next few weeks may feel like we have “one foot on the gas and the other foot on the breaks.” If we use this Mars in Capricorn energy productively, we may be able to formulate very practical action steps and find ways to live with greater integrity. We need to be patient and use the Mars in retrograde energy to reevaluate our foundations, formulate strategic plans, and question what we want to be responsible for and where we want to direct our leadership abilities. On Saturday, August 18, Mercury stops its retrograde motion and begins moving direct again. It may take a few days, but we will likely see communication patterns becoming clearer. Again, given we are still being influenced by all these planets in retrograde, we may not yet see a lot of forward motion. But Mercury starts loosening things up. It is more likely that we will start seeing a shift in the winds of external change after Mars turns direct on Monday, August 27, and Saturn goes direct on Thursday, September 6. However, even those shifts will likely just entail taking steps toward laying the foundation for what will likely be major changes occurring between November 2018 and March 2019. This is when Uranus will back into the last two degrees of Aries. When this happens, many of us will truly step into the new changes we’ve been working on this year. This may result in a life that looks very different than the one we are living now . . . a life that provides us with more independence and authenticity, even if it means going against what others believe we “should” do or bucking the status quo. Our job now is to get as prepared as we can for this stage in our development by doing the inner work indicated by these eclipses and planets in retrograde. Finally, it is worth mentioning that the last of three trines (120°) between Jupiter and Neptune will be exact on Sunday, August 19. However, we will be feeling its impact for several days before and after the actual event. If we have done the work over the last ten months, we have become clearer in our spiritual principles and beliefs. We may have grown tired of old dogma or power games. Humanitarian goals, increased compassion, and heightened faith have come to the surface. Widening our minds to explore other belief systems has helped us see that everyone is part of a larger whole or web of energy. We now “get” that to hurt one is to hurt the whole. Thanks Cher! I am safe, but many I know are threatened by the current fire, including my sister. Sending prayers and healing energy to all those impacted by the fires throughout the Western States. And I, too, wish you were closer; but I’m glad you stay in touch through the Moon Updates. 🙂 Many blessings to you! Thank you Anne. I look forward to your insights as I feel the changes occurring even still, see the changes in others, our World and the Universe. Would enjoy an experience at your facility, however, I live in Florida “the other Coast” – so not as accessible. Did travel through Santa Ana several years ago. Hope all is safe and well in your parts with all of the fires abounding in CA.